A TRAGEDY beyond words and beyond understanding last week changed New Zealand forever. 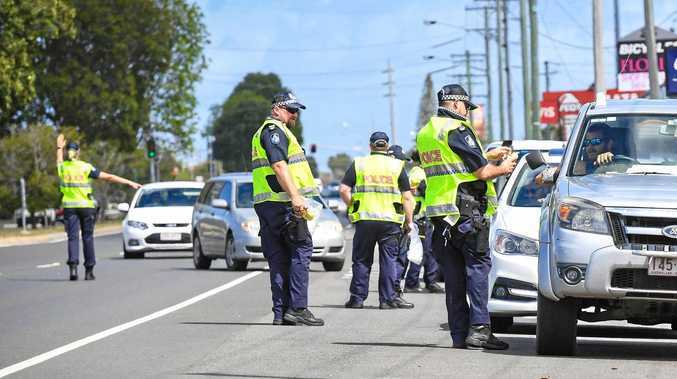 And while the aftershocks of the terror attack on two Christchurch mosques were felt the world over, it was also felt in the heart of Bundaberg. 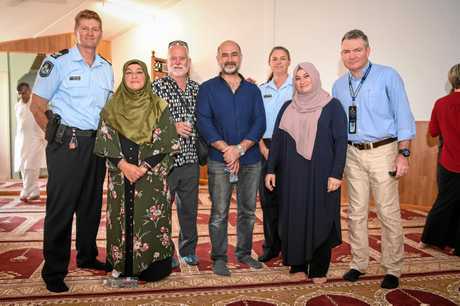 On Saturday, the Turkish Islamic Association of Bundaberg opened their doors to the community, and the resounding message was clear: you are all welcome here. About 300 locals gathered together at the Hanbury St mosque on a sunny afternoon in an effort to drive out the darkness of the event of the day that saw 51 innocent lives senselessly cut short. 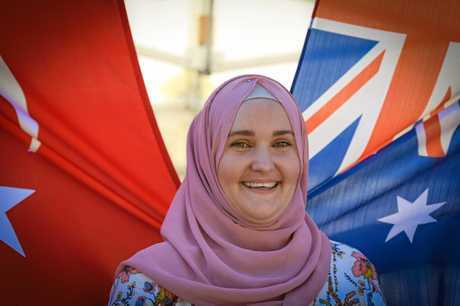 Bundaberg Turkish and Islamic Society spokeswoman Scarlett Kayis stood before the heaving crowd, urging the community to stand united in peace. "'Hello brother' were the final words offered in peace by the first victim whose life was taken by this coward,” Ms Kayis said. "Terrorist, you failed. The only thing this terrorist showed the world was that terror has no religion or ethnicity. "Terror has no humanity and that we must be mindful of all those who drive the divide and spread hate in our society. Bundaberg Turkish and Islamic Society vice-president Muhammed Emin Yildirim said it was "amazing” to see so many people attend and take a tour of the mosque. "We've had support since the first day,” Mr Yildirim said of the locals who had left flowers in the days since the attack. "My school teacher once told me 'the crowd is the power' and today the crowd is the power. 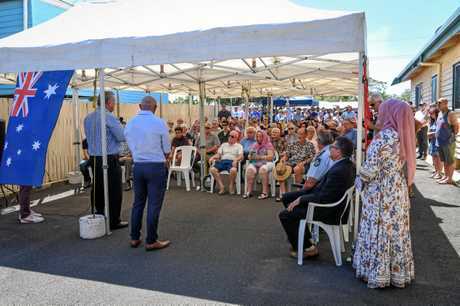 Ms Kayis and Mr Yildirim shared hopes the goodwill of the open day would continue and lead the way for similar events to be held in Bundaberg. "Today is called open day but people are welcome any time,” Mr Yildirim said. 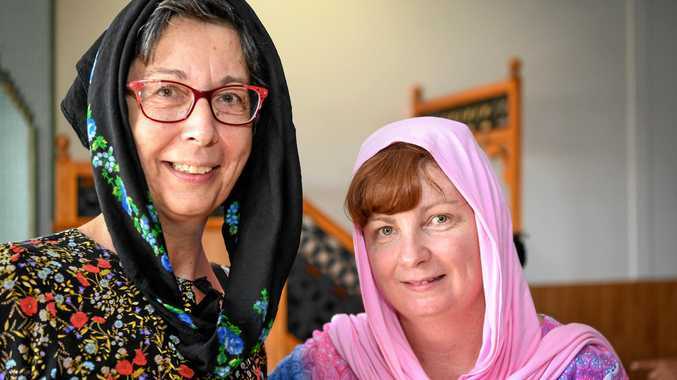 One of the attendees, Alan Cochrane, 72, said while he was not of the Islamic faith, the friendship he had shared with those who are had changed his life. "I just want people to see that people like this are hard to come by... we are all brothers,” Mr Cochrane said through tears. Sunshine Kebab owner Ulkuhan Dogan said it was "beautiful” to see so many attend. "This is the perfect example of what Islam is; our heart and door is open to all ... nobody needs to be afraid of us,” Ms Dogan said. Bundaberg Mayor Jack Dempsey urged people to continue the "sense of belonging” felt during the day. "It is a light to be raised up to shine out to send a message of three things we come into the world and leave with: faith, hope and love and with that when we see days like today ... it shines together,” Cr Dempsey said. Member for Bundaberg David Batt, Member for Burnett Stephen Bennett and Labor's candidate for Hinkler Richard Pascoe also attended. "What we have seen in New Zealand, we shouldn't have to see anywhere else in the world, including here,” Mr Batt said.